What Is the Cal Poly TESOL Certificate Program? The TESOL Certificate Program was created at Cal Poly in 1991 to prepare prospective instructors to teach English to speakers of other languages. Theoretical, methodological, and pedagogical issues in second language teaching and learning are addressed along with a variety of concepts within both theoretical and applied linguistics. Undergraduate and graduate students may pursue this program that typically attracts those studying English, World Languages and Cultures, Liberal Studies, and Communication Studies. Students from all of the colleges at Cal Poly, however, have pursued this certificate. How Do I Begin the Program and How Long Does it Take to Complete? Interested students should contact Dr. John Battenburg, DIrector of the TESOL Certificate Program, to discuss the program. 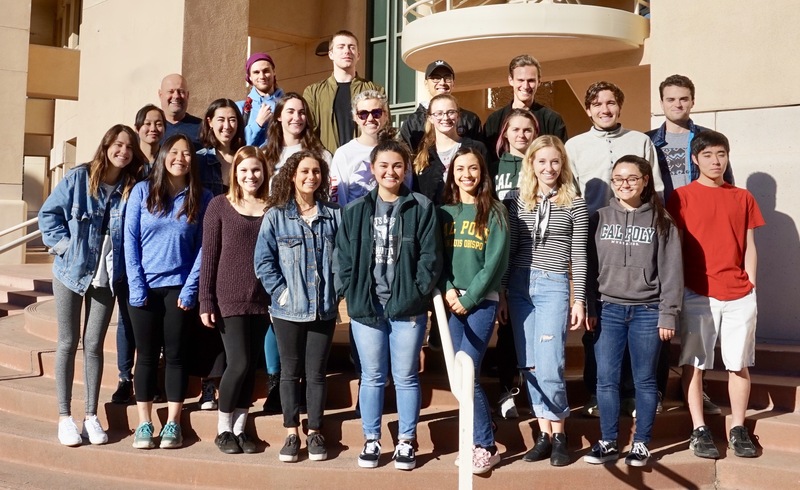 Although there is no formal application process, students are encouraged to begin taking courses early on to earn the certificate while at Cal Poly. The 30-unit program normally requires four to six academic quarters due to the scheduling of classes. Students must enroll in the following courses and pass them with a C to earn the certificate. A maximum of two non-core courses taken at other institutions may be transferred in. In addition to the coursework for the TESOL Certificate, students must satisfy the modern language requirement. One year of a modern language at the college study (or completion of a course such as FR, GER, or SPAN 103) is required. Why Should I Pursue the Cal Poly TESOL Certificate? The TESOL Certificate Program is offered through academic departments with faculty having significant teaching and research experience. The certificate adheres to TESOL International Association Guidelines, and it is recognized both in the U.S. and abroad for teaching English to speakers of other languages. Cal Poly TESOL Certificate graduates who also earn the appropriate degree and/or credential teach in K-12, community college, and university classrooms. TESOL Certificate graduates are prepared to address various challenges in teaching English language learners from diverse language and cultural backgrounds.